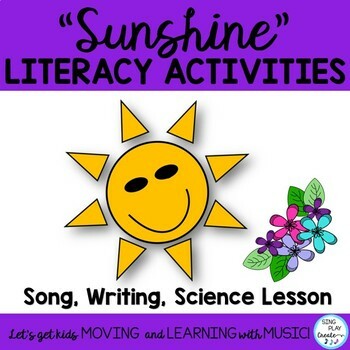 Sun Literacy activities and Song "Sunshine, Sunshine"
Sing and Learn about "Sunshine" as part of your literacy and science centers. 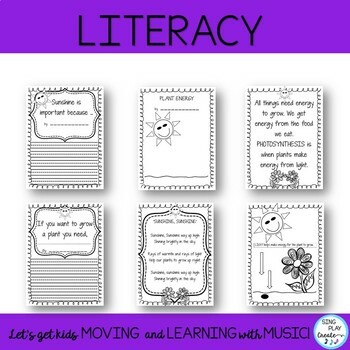 Perfect for the STEAM Classroom teacher using music to reinforce science concepts or for a Music teacher who wants to incorporate Science into the Music curriculum. Mp3 Tracks for easy teaching. This is an easy and fun song to learn about Sunshine. Students will really enjoy the Hand Actions included. 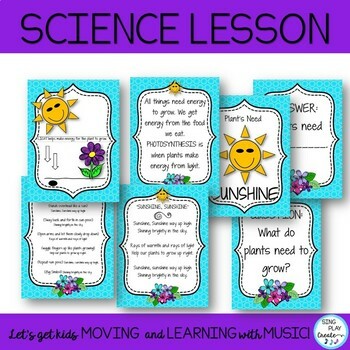 The PDF has teaching pages to use as part of your science lesson on PHOTOSYNTHESIS. The Writing activities are for grades K-3. Coloring Sheet for students to draw the process of PHOTOSYNTHESIS. Focus of this resource is SUNSHINE. This is a great song for integrating Music and Science. The Hand Actions are really cute. 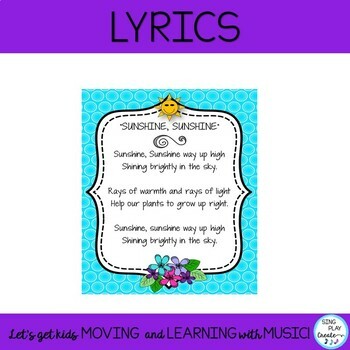 You can use this song as part of a music program about the WEATHER. Be sure to check out all of the SCIENCE SONGS. The students love to sing about things they are learning in their classrooms. Teaching Pages to show how Light helps plants grow. 1 COLORING sheet to show photosynthesis. All products and works are copyrighted by Sing Play Create LLC. For questions about content, other resources and copying, please use the “ASK A QUESTION” section. Want a Freebie every month? Click on the Star under my store name and FOLLOW ME. Want to get Free store Credits? Go to “my purchases” and click on “Provide Feedback”.